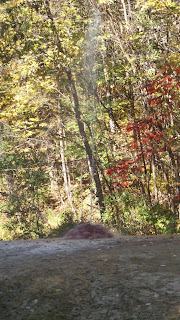 Trails and Travelogues: Historic Saratoga Springs & Guided Mineral Water Tours! Historic Saratoga Springs & Guided Mineral Water Tours! This innovative tour is one in a lifetime experience as you will learn about the famous architecture of the renowned city of Saratoga Springs and how it became as the "spa city", and a tasting tour of water samples coming from the springs. For many centuries, Saratoga was known only as a sacred ground of the native Americans. Sir William Johnson established a mutual strong relationship with the tribe wherein in 1771, he was brought to an area called High Rock Spring for healing. Ultimately, his healing became a news and prompted curiosity and interest of the public about the water spring. By 19th century, Saratoga developed as a resort town and catered those who sought the water springs for therapeutic needs. The place consequently became a thriving spa where devotees sought for "the cure" by taking hydrotherapy treatments and mineral baths and drinking prescribed amounts of different mineral waters. 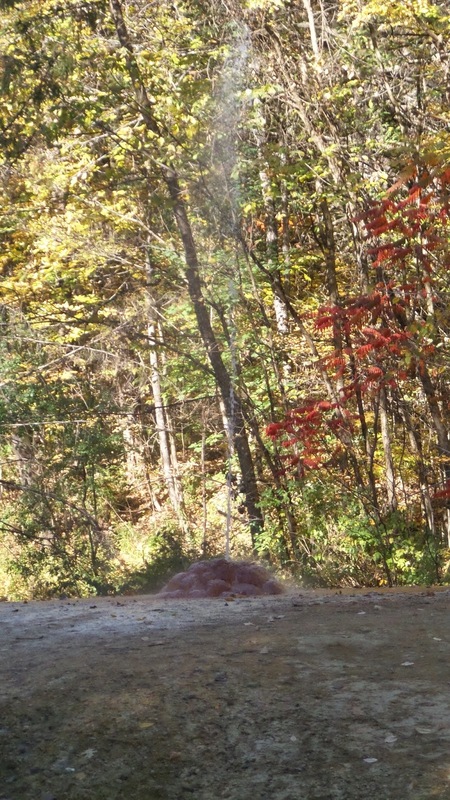 These mineral springs were produced as a result of fractured shale along the Saratoga Fault Line, causing the waters to spring upward out from the resulting cracks. The water dissolves minerals from the limestones where they were trapped, thus, in the process became naturally carbonated. All of these springs contain the same minerals but in different concentrations, depending upon how deep underground they have originated. The higher the mineral concentration, the deeper the depth of origin. 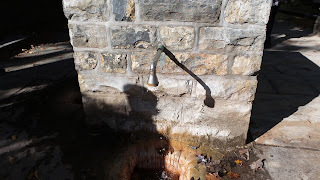 These mineral springs of Saratoga are known to be naturally carbonated with carbon dioxide; they have a cool constant temperature of 55F; and several of the springs are "spouters" which shoot high up in the air. The photo above is the polaris spring. The water has a carbonated, "alka seltzer" taste! 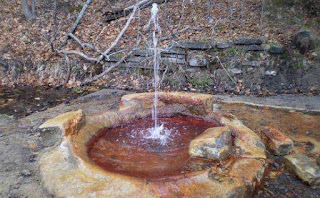 The springs are also categorized as alkaline (antacid), cathartic (Laxative), or high in iron, and many claim they have healing properties. There are at least 20 mineral springs, some located in the Spa State Park, Congress park and High Rock Areas. This is a 'spouter" located in an island, surrounded by hardened minerals. You can learn more about tours by visiting the Saratoga Springs Heritage Area Visitor Center.